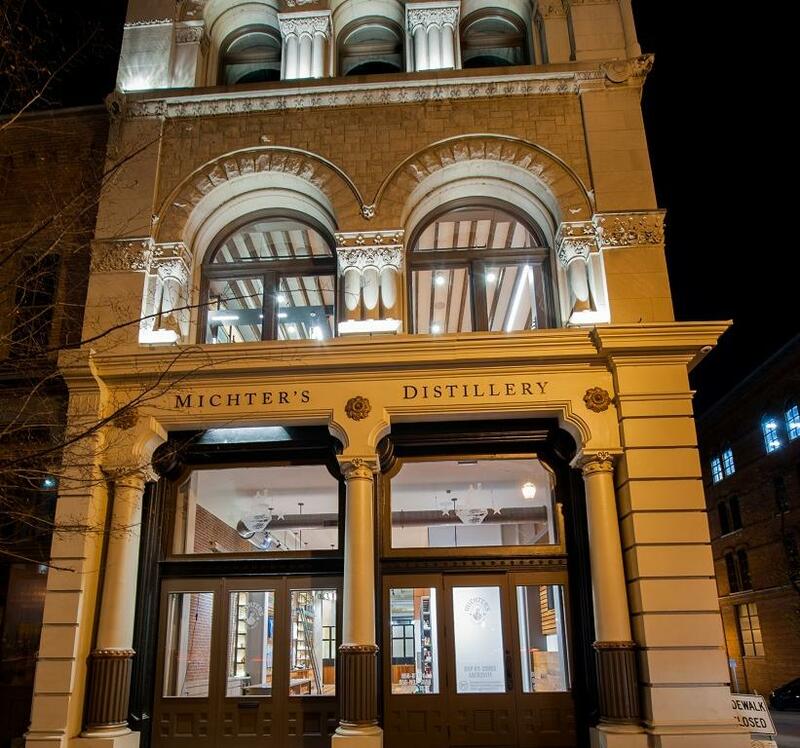 Adding to the momentum of urban bourbon distilleries in Louisville, Michter’s Fort Nelson Distillery opened to the public on February 2. LOUISVILLE, Ky., (February 4, 2019) – Adding to the momentum of urban bourbon distilleries in Louisville, Michter’s Fort Nelson Distillery unveiled their distillery to the public, marking the 10th spirits attraction in Bourbon City. Michter’s was the first bourbon label to announce plans to build a distillery in downtown Louisville in 2011, however the 1890’s building presented challenges during reconstruction. Michter's President Joseph Magliocco stayed committed, despite the structural challenges requiring extensive work, including the installation of 400,000 pounds of structural steel. Michter's Fort Nelson Distillery offers tours, tastings, and a gift shop. Whiskey production on-site will be conducted on the legendary pot still and cypress wood fermenter system from Michter's Pennsylvania Distillery, which traces its history back to 1753. The second floor of the building features The Bar at Fort Nelson. Cocktail historian and author David Wondrich consulted on The Bar's classic cocktail list. The Bar will serve as a resource for the local Kentuckiana bar community and host educational seminars from leading industry professionals through its Fort Nelson Fellows program. Located at 801 West Main Street on Louisville's Museum Row, the distillery is directly across the street from The Louisville Slugger Museum & Factory and down the block from The Frazier History Museum, the official Welcome Center for the Kentucky Bourbon Trail®. Distillery tours will be offered daily except for Tuesday and Wednesdays. Tickets are $20 and include a tour, tasting and sample cocktail in The Bar. Online reservations are suggested, though not required if there is availability for walk-ins. Full tour details and tickets are available at Michters.com. Michter’s Fort Nelson Distillery joins nine other distillery visitor experiences in Louisville. In 2013, Louisville’s first distillery since Prohibition opened in the heart of downtown, signaling a new era in Bourbon that Louisville Mayor Greg Fischer coined as “Bourbonism” for its convergence of economic development through manufacturing and tourism. The Evan Williams Bourbon Experience became the first distillery with public tours in Louisville. 2018 additions to the bourbon distillery scene are Old Forester Distillery and Rabbit Hole Distilling. Additional attractions include Bulleit Frontier Whiskey Experience featuring spirits from Stitzel-Weller, Kentucky Artisan Distillery showcasing Jefferson’s Reserve, a brandy distillery Copper & Kings, Kentucky Peerless Distillery- a father and son team who resurrected a family label, Jim Beam Urban Stillhouse at Fourth Street Live! and Angel’s Envy, originally a family label now owned by Bacardi Ltd. The Frazier History Museum’s Welcome Center & Exhibit, serves as the final attraction, but the first stop and official starting point for the Kentucky Bourbon Trail®. 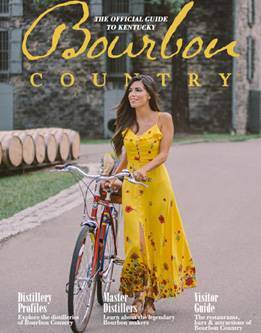 This brings the total number of urban experience attractions in the Bourbon City to 10, more than any other in Kentucky’s Bourbon Country. The pub crawl that is the Urban Bourbon Trail continues to grow alongside the popularity of bourbon with 44 stops, each well-stocked with at least 50 bourbons; some as many as 300. For more information and to plan a trip to Bourbon Country visit www.bourboncountry.com or www.gotolouisville.com.